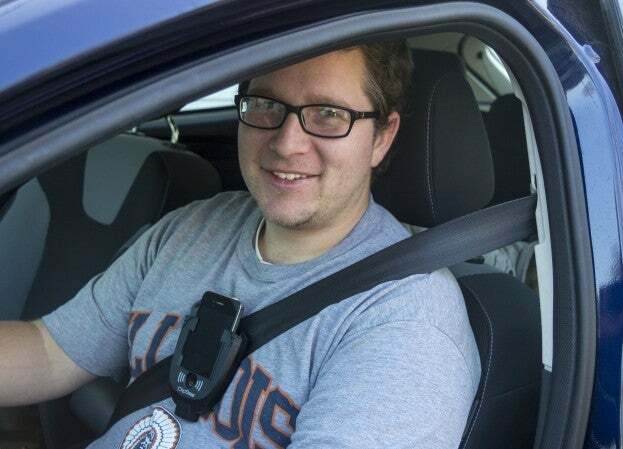 In Illinois where I live it’s illegal to talk on your cell phone unless in handsfree mode. Whether you agree or not, talking on your phone does distract you from the road. 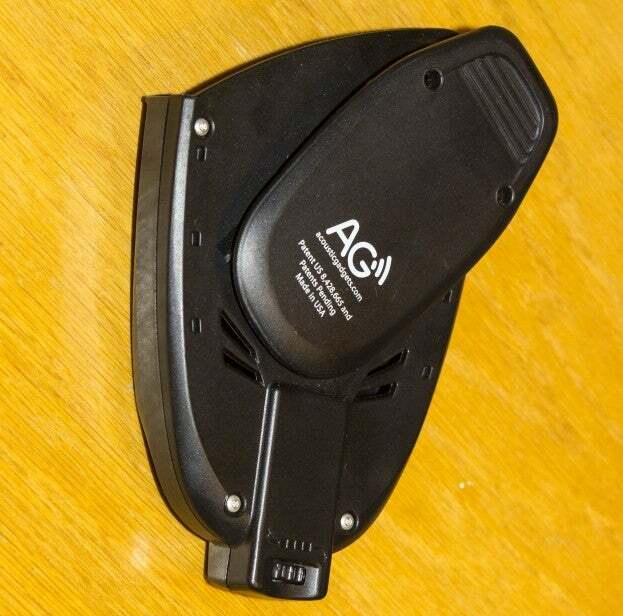 Currently there are a number of different solutions for people who need to use their phone while driving including: bluetooth headsets, ear buds with a speaker or the bluetooth most new cars have. I have had experiences with many of these and have never been completely satisfied. When I received an email about the ClipSee, I figured I would give it a chance. Normally I have an aversion to these types of gadgets, since they never seem to work as well as advertised, but I figured I’d get it a shot. 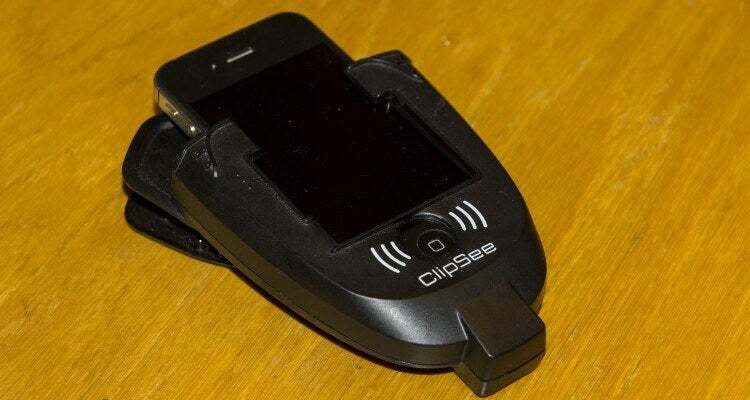 Upon receiving the ClipSee, I have to admit I wasn’t impressed with what I saw, it seemed like the kind of product that is used once, doesn’t work and finds a place in the junk draw, next to the calculator and old flip phone. When I pulled it out of the box my impression hadn’t changed. I looked at it and I didn’t really understand how it worked, but figured it was worth a shot. I grabbed my phone from the kitchen table and tried to slide it into the case it went in but I had to force it and it was very difficult to pull it out. Looking at the back of the box I was slightly confused as it said it fitted most standard iPhone cases. I have an iPhone 4s with an Otterbox case, one that I believe is a pretty common case. Despite this I was still interested to see if it worked. Taking my phone out of the case, I slide my phone in, this time it was considerably easier to get it in the ClipSee, but this proved to be a concern, since just turning it over, caused my phone to fall out. With the phone in place, there is a dial at the bottom that allows for adjustment to make sure the button can be pushed. 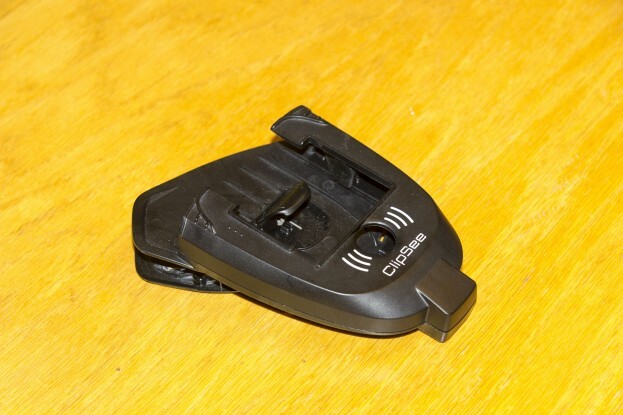 A clip is on the back of the ClipSee allowing you to put it on a seat belt. The first time I put it on the seat belt and sat down I noticed the weight of the ClipSee on my chest, but after driving for a little bit I quickly forgot it was there. But each time I would get back in I notice it there. Being able to hear the phone while driving with the windows down, or the heat or the air-conditioning on is my number one problem I have when I use my speaker phone. The first time I used the ClipSee it was warm and even with the windows down, it was plenty loud and in fact I had to turn it down a bit. At first I didn’t know how easy it was going to be to answer a call, but as I used it more it became second nature and in fact very intuitive. Actually making a call was something I never considered doing while moving since it would require me to look down at it and take my eyes off of the road. When I needed to make a call I would stop initiate the call and then continue on my way. In order to get a feel for how well it sounded for somebody on the other end I gave it to my wife to call me when she was out and talking to someone using one was no different then talking to someone using speaker phone. My concern about my phone falling out was not unfounded. On multiple occasions my phone fell out while unbuckling my seat belt. It was something that I got used to, but still I didn’t think I should have to. The author wearing the ClipSee. Often there are products that are made that solve a problem that didn’t really exist in the first place. The ClipSee is not one of them. Yes, almost all new cars have bluetooth audio, but they don’t always work that well . If you drive an older car, well you’re just out of luck unless you have another device. For me, I’m much more content with using the ClipSee and not mess around with the bluetooth in either one of my cars. With the low price of $9.99 I would recommend the ClipSee. No, its not perfect, but I don’t think a better solution can be found at a better price and with the holidays coming it would make a great gift for anybody. The only advise I have if you use it, is to get a phone case that is a little thinner since there is a very real chance you will drop your phone and break it. 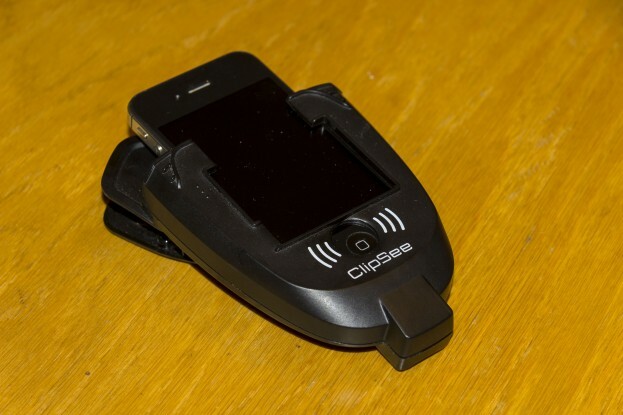 No Comments on "ClipSee, a Simple Solution for a Common Problem [Review]"